UST operator training in New Jersey is required by federal law and is intended to ensure that those who own and operate underground storage tanks understand how to operate and maintain UST systems properly. New Jersey Class A operators have primary responsibility for on-site operation and maintenance of a UST facility. This individual is generally the owner of the station or the designee. For large corporations, this person is the manager or designee responsible for tank operations. New Jersey Class B operators have responsibility for the day-to-day aspects of operating, maintaining, and record keeping of a UST facility. This individual (or individuals) is generally the owner or the person/company contracted by the owner to maintain the tanks. For large corporations, this person is the employee, or person/company contracted by the corporation to maintain the tanks. New Jersey Class C Operators are the first responders to emergency situations at a UST facility – like a gas station or convenience store. These individuals are usually the clerks of a facility. The New Jersey Department of Environmental Protection – Water Compliance & Enforcement – Underground Storage Tank (UST) Program has been designated to protect public health and the environment through oversight, investigation and cleanup of soil and groundwater contamination caused by releases from USTs. The New Jersey Underground Storage Tank (UST) regulations (NJAC 7:14B Subchapter 13) require that all personnel who install, close, test, and design corrosion protection systems or perform subsurface evaluation for USTs need to be certified. These requirements are not new, as underground storage tank owners and operators have had 10 years to comply. The details of these requirements were provided to all registered UST owners in two separate mass mailings in 1996 and in January 1998. In addition, Governor Whitman signed legislation in August 1997 which provides loans and grants to municipalities and those UST owners and operators considered to be in financial hardship. 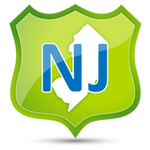 New Jersey has not yet been granted state program approval (SPA). 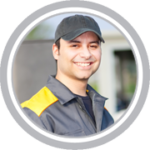 We offer online UST operator training in New Jersey for: Newark, Jersey City, Paterson, Elizabeth, Toms River, Clifton, Trenton, Camden, Passaic, Union City, Bayonne, East Orange, Vineland, New Brunswick, Hoboken, Lakewood, and many more! Newark, Jersey City, Paterson, Elizabeth, Toms River, Clifton, Trenton, Camden, Passaic, Union City, Bayonne, East Orange, Vineland, New Brunswick, Hoboken, Lakewood, and many more!